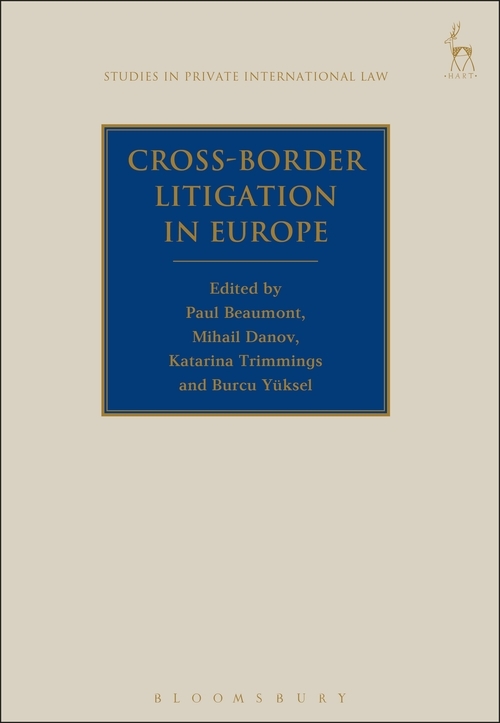 This substantial and original book examines how the EU Private International Law (PIL) framework is functioning and considers its impact on the administration of justice in cross-border cases within the EU. It grew out of a major project (ie EUPILLAR: European Union Private International Law: Legal Application in Reality) financially supported by the EU Civil Justice Programme. The research was led by the Centre for Private International Law at the University of Aberdeen and involved partners from the Universities of Freiburg, Antwerp, Wroclaw, Leeds, Milan and Madrid (Complutense). 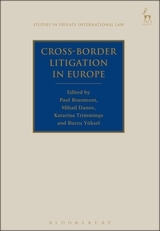 The contributors address the specific features of cross-border disputes in the EU by undertaking a comprehensive analysis of the Court of Justice of the EU (CJEU) and national case law on the Brussels I, Rome I and II, Brussels IIa and Maintenance Regulations. Part I discusses the development of the EU PIL framework. Part II contains the national reports from 26 EU Member States. Parts III (civil and commercial) and IV (family law) contain the CJEU case law analysis and several cross-cutting chapters. Part V briefly sets the agenda for an institutional reform which is necessary to improve the effectiveness of the EU PIL regime. This comprehensive research project book will be of interest to researchers, students, legal practitioners, judges and policy-makers who work, or are interested, in the field of private international law. 4. Unharmonised Procedural Rules: Is there a Case for Further Harmonisation at EU Level? Burcu Yüksel is a Lecturer in Law at the University of Aberdeen.